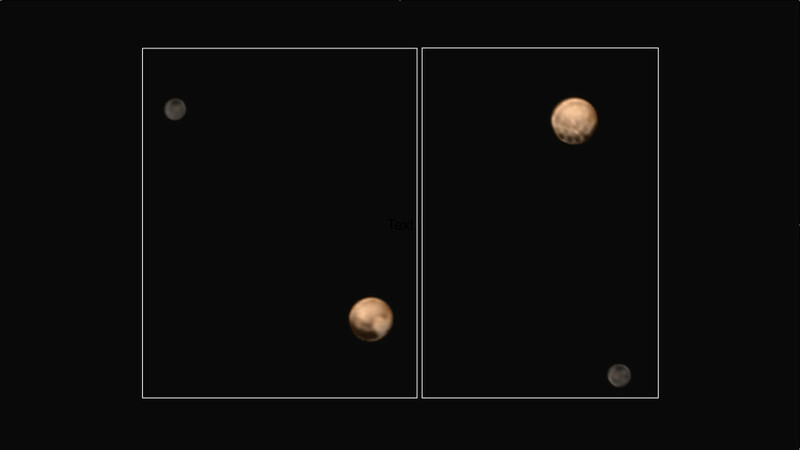 July 2, 2015 – New color images from NASA’s New Horizons spacecraft show two very different faces of the mysterious dwarf planet, one with a series of intriguing spots along the equator that are evenly spaced. Each of the spots is about 300 miles in diameter, with a surface area that’s roughly the size of the state of Missouri. Scientists have yet to see anything quite like the dark spots; their presence has piqued the interest of the New Horizons science team, due to the remarkable consistency in their spacing and size. While the origin of the spots is a mystery for now, the answer may be revealed as the spacecraft continues its approach to the mysterious dwarf planet. New Horizons team members combined black-and-white images of Pluto and Charon from the spacecraft’s Long-Range Reconnaissance Imager (LORRI) with lower-resolution color data from the Ball Aerospace-built Ralph instrument to produce these views. We see the planet and its largest moon in approximately true color, that is, the way they would appear if you were riding on the New Horizons spacecraft. 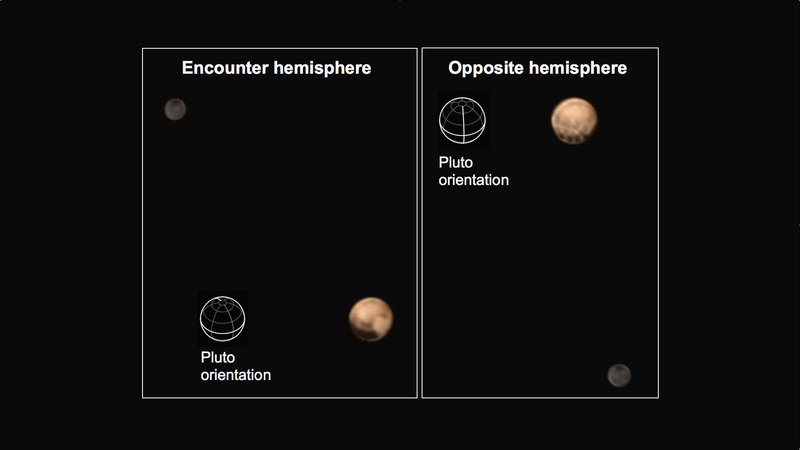 About half of Pluto is imaged, which means features shown near the bottom of the dwarf planet are at approximately at the equatorial line.